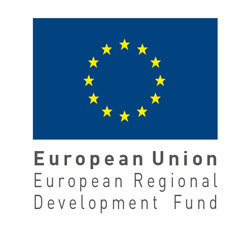 in: Categories: Media and News. 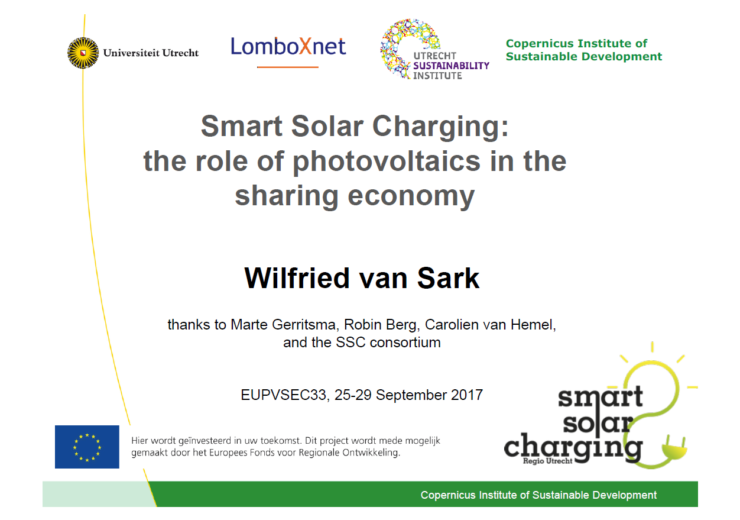 Two presentations about Smart Solar Charging are available here. 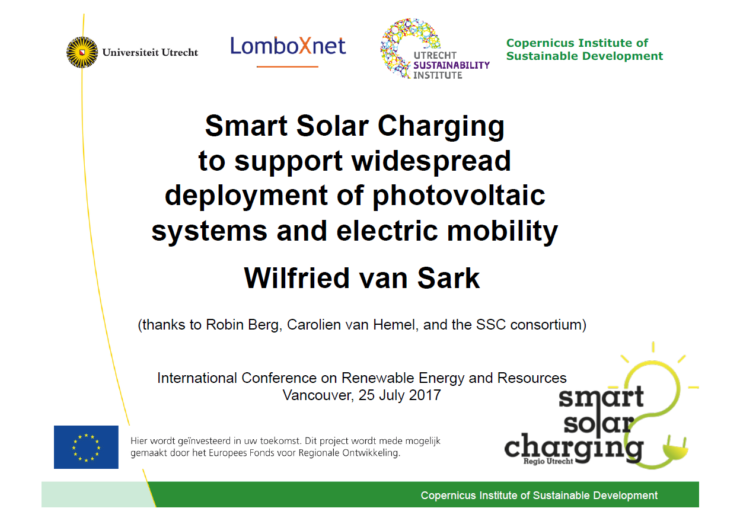 Dr. Wilfried van Sark gave several presentations about the project at European Photovoltaic Solar Energy Conference and Exhibition in Amsterdam and at International Conference on Renewable Energy and Resources in Vancouver.